More than 1,000 real estate professionals came together on October 11 at the sixth annual Encore for Education concert to rock out with number one single Billboard artist Fitz and the Tantrums. 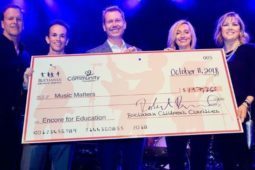 Hosted at the House of Blues, Anaheim, the event raised $147,000 to benefit Music Matters, a program created by Buchanan Children’s Charities and the Orange County Community Foundation to restart Orange County public schools’ music programs. 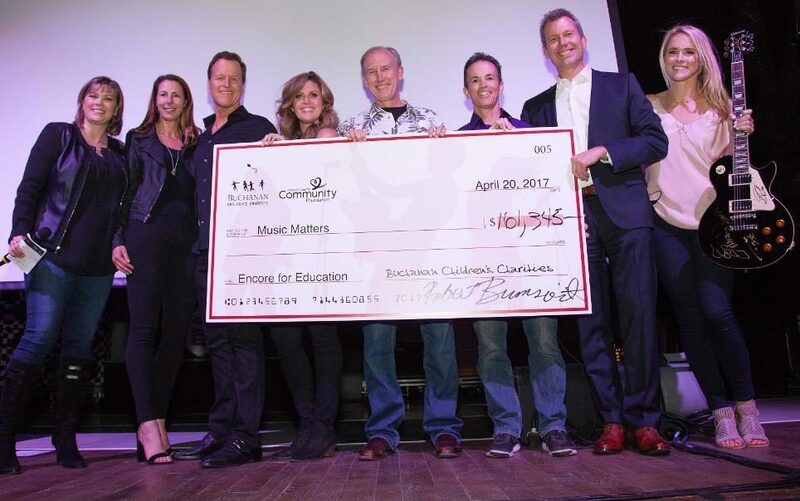 Since inception, Encore for Education has raised more than $805,000 for Music Matters and this year’s concert will feature LA-based Fitz and the Tantrums. In 2017, Encore for Education raised more than $160,000 to benefit Music Matters and restart music programs at Orange County public schools. ANAHEIM, CA—Encore for Education, Buchanan Children’s Charities’ signature fundraising event, is a private commercial real estate industry concert benefiting Music Matters, a program created by the charity to restart school music programs in Orange County. Buchanan Children’s Charities was established in 2007 when the principals of Buchanan Street Partners formally established the firm’s philanthropic arm, which is dedicated to fostering better educational systems, teaching fiscal responsibility, supporting children and student philanthropic initiatives and encouraging employee volunteerism. As of the end of 2017, Buchanan Children’s Charities has donated over $2 million to children’s charities. Last year, at the fifth Encore for Education, the charity raised more than $160,000 to benefit the initiative and the event featured a live performance by Rock and Roll Hall of Fame band, Cheap Trick. Since inception, Encore for Education has raised more than $805,000 for Music Matters. This year, the concert will feature LA-based Fitz and the Tantrums, which is known for its explosive, no holds barred live shows. Encore for Education 2018 will be the sixth concert hosted since the charity’s founding and past bands to perform have included Cheap Trick, Goo Goo Dolls, Third Eye Blind, Crosby Stills and Nash, Gin Blossoms and Blues Traveler. Get involved by purchasing a ticket for the October 11th show. Sponsorship opportunities are also available and include group ticket packages, VIP reception access, name recognition and other opportunities. Every dollar raised at Encore for Education is donated to helping Orange County’s youth, and a portion of the sponsorship is also tax deductible. Nearly 700 philanthropists and business leaders discovered how their charitable passions can change their communities at Orange County Community Foundation’s 2017 Annual Meeting. Addressing the sold-out Nov. 8 event at Hotel Irvine, OCCF President Shelley Hoss announced that the Newport Beach-based Foundation’s assets grew to $302 million during the fiscal year ending June 30, 2017 – more than doubling from $144 million in 2012. For the second consecutive year, OCCF grants and scholarships reached an all-time high of nearly $60 million. Also during the annual meeting, OCCF recognized Holte for his leadership as board chair over the past two years and welcomed Keith Swayne, founder and director of Keith and Judy Swayne Family Foundation, as the new chairman. During intimate fireside chat-style segments, prominent Orange County community and business leaders shared their reasons for investing in philanthropy and why they work with OCCF. They included Buchanan Street Partners CEO Robert Brunswick, Ginny Ueberroth and her daughter Vicki Booth, chairman and president of the Peter and Ginny Ueberroth Family Foundation respectively, and Donnie Crevier of Crevier BMW and Crevier Classic Cars. As part of the annual meeting, Swayne presented the Judith Swayne Leadership Fund award — named after his late wife who founded OCCF — to Rusty Kennedy, who became executive director of the Orange County Human Relations Commission in 1981 and founded the nonprofit OC Human Relations Council in 1991. For more information, visit oc-cf.org. On June 15, 2017, Buchanan Street Partners took the Shatterproof Challenge and rappelled down 16 stories at 620 Newport Center Dr. in Newport Beach to raise awareness and fund s to end the devastation addiction causes families. Buchanan Street was joined by industry partners at The CAPROCK Group, Hotel Irvine, Irvine Company, LBA Realty, PIMCO and many more to raise $183,000. Since Shatterproof was launched in September 2013, advocacy campaigns led by the organization and several others have helped influence public policy at the state and federal level to save lives and end the stigma of drug addiction. The community's advocacy support helped 14 states pass life-saving legislation, drove the passing of the CDC Guideline for Prescribing Opioids for Chronic Pain, important guidance for physicians that will save lives by reducing the overprescribing of opioid painkillers, and supported passage of the federal Comprehensive Addiction and Recovery Act (CARA), and the 21st Century Cures Act—all while uniting families affected by addiction and providing a platform for those families to make their voices heard. 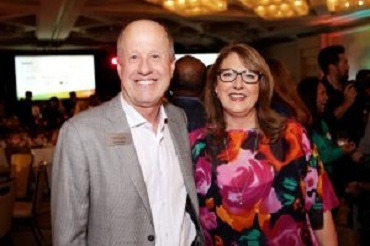 ANAHEIM, CA—Encore for Education, the signature fundraising event for Buchanan Children’s Charities, has raised more than $2.2 million to give back to the kids of Orange County, Buchanan Street’s Robert Brunswick tells GlobeSt.com. Encore for Education, the signature fundraising event for Buchanan Children’s Charities, will take place on April 20 at the House of Blues Anaheim. This year’s event will feature a live concert by the rock band Cheap Trick. Buchanan Children’s Charities is a 501(c) (3) organization founded in 2007 by Buchanan Street Partners, a real estate investment management company in Orange County, that has measurably improved the lives and education opportunities for children in the local community. Encore for Education is a private, intimate concert with 1,200 to 1,600 attendees to support the Charity’s Music Matters initiative, which is aimed at restarting the music programs in Orange County public schools. Last year, Encore for Education generated more than $200,000 for Orange County public schools that revitalized arts education across 16 school districts impacting 160,720 students from kindergarten through 12th grade. It also provided 3,786 teachers access to professional development tools to improve their arts and dance programs. For this year’s event, a VIP reception will begin at 7 p.m., doors open to the audience at 7:30 p.m., and there will be formal remarks at 8:30 p.m., followed by a 90-minute set beginning at 9 p.m. A DJ will close the night beginning at 10:30 p.m.
Encore for Education 2017 will be the fifth concert hosted since the founding 10 years ago. Money is raised through corporate sponsorships and ticket sales to a targeted local audience. Past bands to perform include Goo Goo Dolls, Third Eye Blind, Crosby Stills and Nash, Gin Blossoms and Blues Traveler. This year’s event is generously underwritten by sponsorships from more than 50 industry leaders including Ten-X, Seyfarth Shaw, Allen Matkins, Arnel, CBRE, Cushman & Wakefield, First Bridge Lending, Lowe Enterprises, Metro Commercial Properties, SquarMilner, Bixby Land Co., Devcon Construction, Essex Realty Management, Irvine Co., LBA Realty, the New Home Company, Shopoff Realty, Wells Fargo and many more. For more information on Encore for Education, click here. To buy tickets, click here. To view video footage from last year’s event, click here. To find out more about where the proceeds go, click here. Buchanan Street Partners and the real estate firm's foundation, Buchanan Children's Charity, are looking for real estate professionals wanting to rock out to attend at an Apr il 20 benefit concert featuring Cheap Trick. The show, to be held at the House of Blues in Anaheim, Calif., will be the 5th concert partially underwritten by Buchanan Street Partners to benefit Music Matters, a program created in partnership with the Orange County Community Foundation to bring back music programs in Orange County public schools. to improve the lives of and educational opportunities for children. Past shows have featured such rock luminaries as Crosby, Stills & Nash; Third Eye Blind; Goo Goo Dolls; and Blues Traveler, said Robert S. Brunswick, CEO of Newport Beach, Calif.-based Buchanan Street Partners. Mr. Brunswick declined to give the foundation's size, but he said it has donated $2.2 million total since it was founded in 2007. “We want to build a culture ... as a firm that provides good corporate stewardship and gives back to the community,” he said. The annual concert has turned into the foundation's “signature event,” he said. Last year's concert raised $225,000 for the music program. The fundraiser “is built around the industry, and we make a night of it.” Mr. Brunswick said. IRVINE, CA—The Center for Real Estate at UCI’s Paul Merage School of Business paid tribute to four of the top leaders in the real estate industry at a recent awards luncheon and presentation of the lifetime achievement award at the Hotel Irvine here. The luncheon was sponsored by FivePoint, a Calif ornia-based community real estate development company, and Kennedy Wilson, a global real estate investment company; more than 500 guests attended the celebration. Other award recipients included Timothy L. Strader, Sr., founder/chairman of Starpointe Ventures, who received the 2016 Distinguished Service Award, and Robert S. Brunswick, co-founder and CEO of Buchanan Street Partners, who received the Orange County Community Foundation Power Packed Philanthropist Award. There is a need in every community; but generosity runs deep in Orange County. From the agencies that feed and heal out children to the individuals whose dedication and altruism are changing the lives of many; here are the organizations and leaders driving our philanthropic scene right now.